What is time? How does our sense of time lead us to approach the world? How did the peoples of the past view time? This book answers these questions through an investigation of the cultures of time in Christianity, Islam, Buddhism, Judaism and the Australian Dreamtime. It argues that our contemporary world is blind as to the significance and complexity of time, preferring to believe that time is natural and unchanging. This is of critical importance to historians since the base matter of their study is time, yet there is almost no theoretical literature on time in history. This book offers the first detailed historiographical study of the centrality of time to human cultures. It sets out the complex ways in which ideas of time developed in the major world religions, and the manner in which such conceptions led people both to live in ways very different to our contemporary world and to make very different kinds of histories. It goes on to argue that modern scientific descriptions of time, such as Einsteins Theory of Relativity, lie much closer to the complex understandings of time in religions such as Christianity than they do to our common-sense notions of time which are centred on progress through a past, present and future. 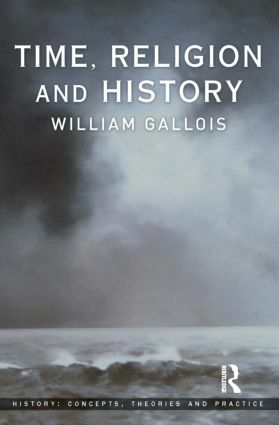 "Gallois's journey through religious conceptions of time is breathtakingly ambitious and crystal clear in its line of argumentation. Specialist and generalist readers alike will find themselves questioned, stimulated and, on occasion, productively infuriated." "Thought-provoking, ambitious and immensely learned, this should be read by all who are interested in the cultural variety of attitudes to time. Readers should prepare for a surprise: it is rare to get so much theology in a history primer."